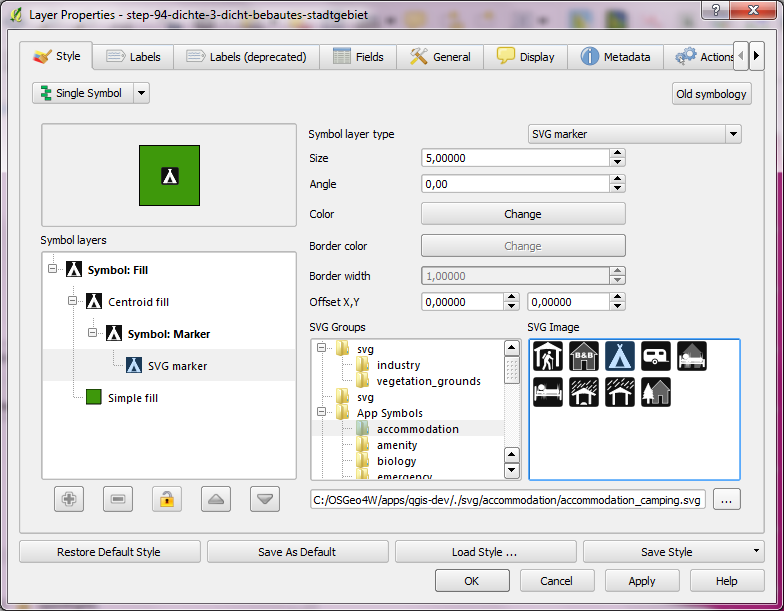 Yesterday, Martin Dobias announced that Arun’s GSoC work on QGIS symbology has been merged into the developer version. So let’s have a look at todays nightly-build! On opening new Style Manager, we can already see that it has changed considerably: There are groups on the left, tags at the bottom and a search field in the upper right corner. 3. Style database is now stored in a SQLite database rather than an XML file for better scalability. 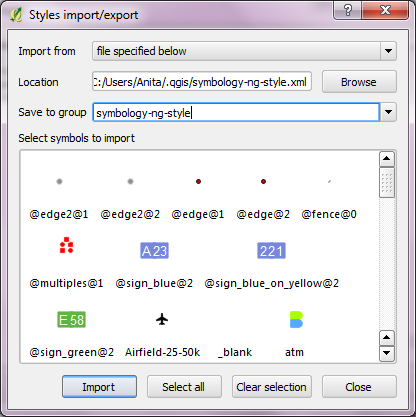 You can import all your saved symbols and color ramps from ~/.qgis/symbology-ng-style.xml – from now they will be stored in ~/.qgis/symbology-ng-style.db. Importing through Style Manager works like a charm. All styles will be imported into the given group. Instead of giving a path to a style XML, it’s also possible to specify a URL. 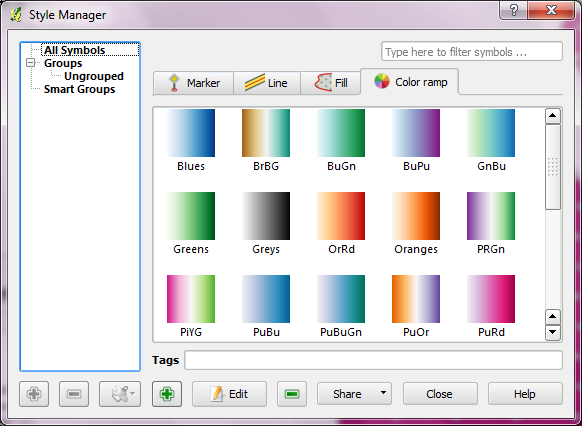 That’s a great step towards shared symbol libraries! Definitely a plus! 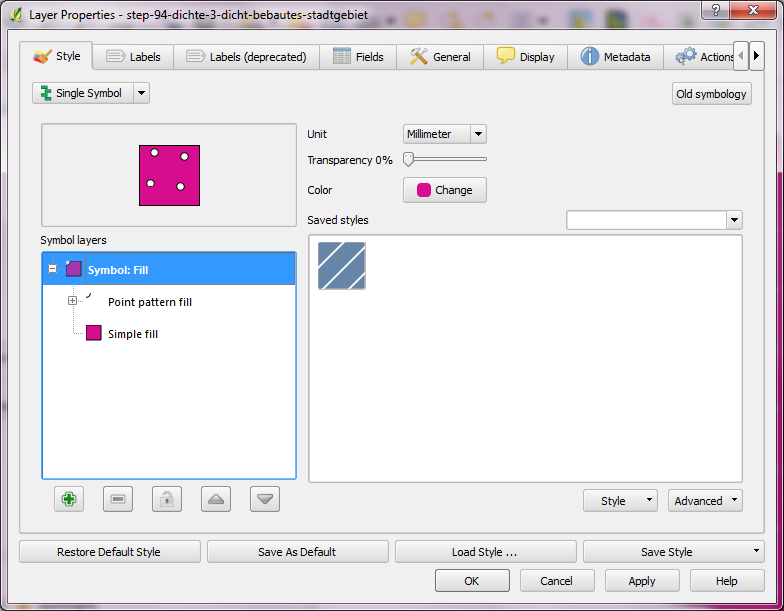 It’s now much easier to work with big SVG symbol collections. What a great result of this year’s Google Summer of Code for QGIS. Give these new features a try! I already fell in love with them. 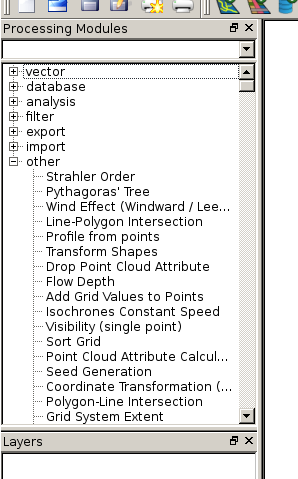 The aim of QGIS Processing Framework developed by Polymeris is to provide a generic framework for accessing existing geo-processing functionality of e.g. SAGA, GRASS, Orfeo Toolbox, etc. This should enable users to script their geo-processing work in python console and allow development of a tool to graphically build workflows using VisTrails an “open-source scientific workflow and provenance management system”. This project is big and if it turns out well, QGIS will profit enormously from it. Both scriptable geoprocessing functionality and a graphic workflow builder can improve user experience a lot if they are implemented well. You can follow further development on the project homepage on GitHub.